High capacity 0.45u inline filter capsules, and landfill biodegradable. A world first! 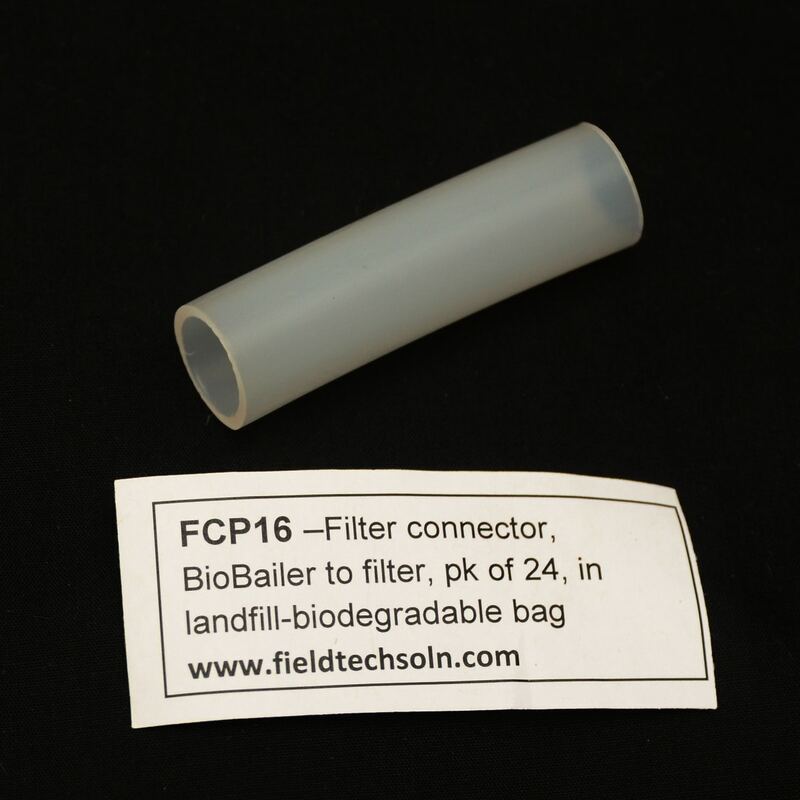 Now you can filter groundwater in the field responsibly by using landfill-biodegradable filters. 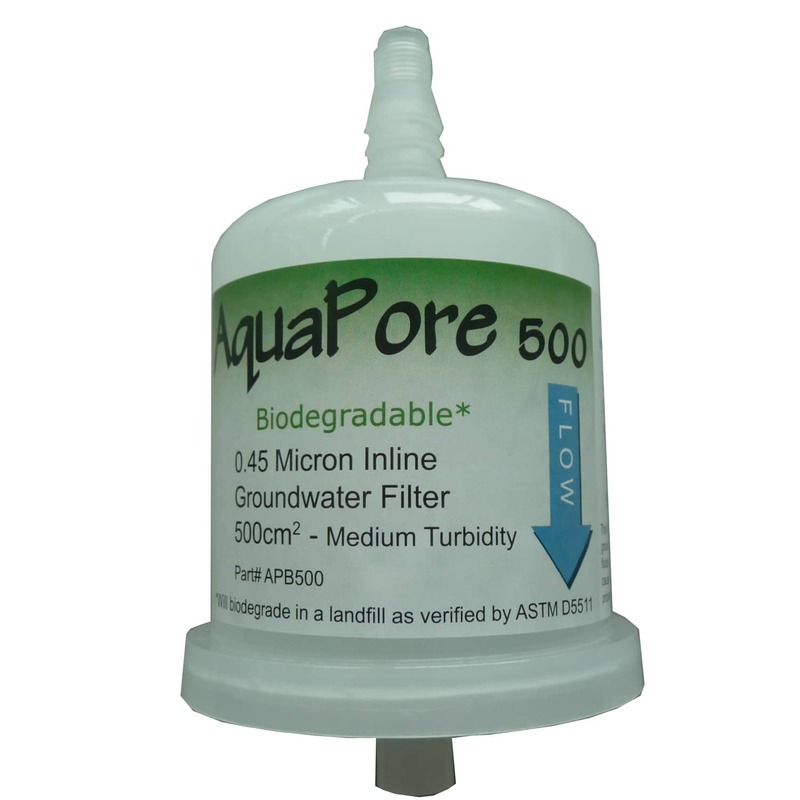 The AquaPore 800 biodegradable filter has a huge 800cm2 capacity to handle water with high turbidity, while the AquaPore 500 has a 500cm2 capacity for medium turbidity. Both filters have the same patented additive we use in our other biodegradable products to make them landfill biodegradable according to ASTM D5511. It has been designed specifically for the preparation of groundwater samples for dissolved metals analysis and for filtering large volumes of turbid groundwater. 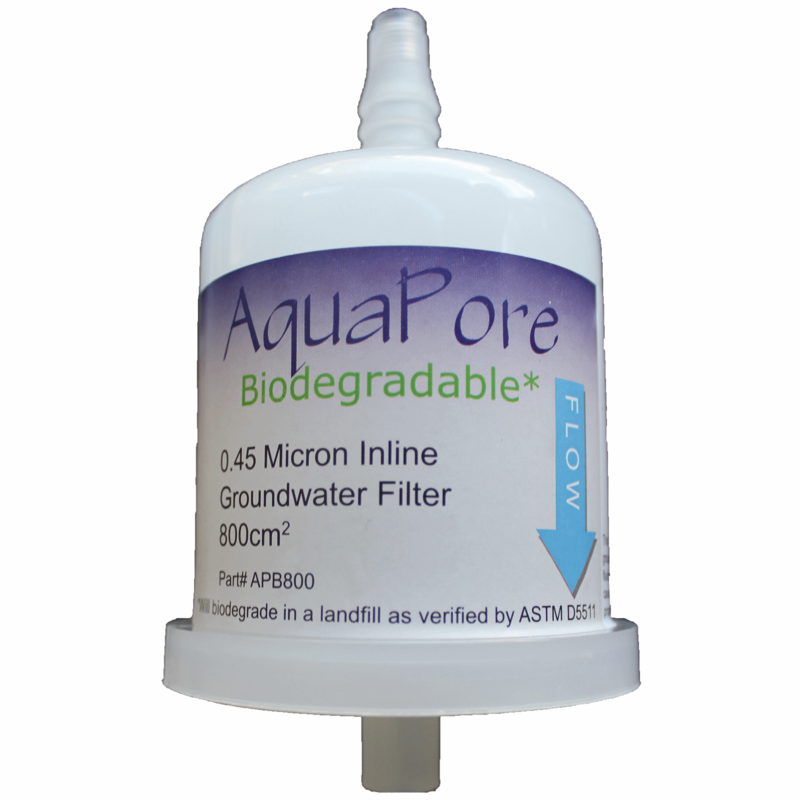 The AquaPore inline filter is the world’s first biodegradable filter capsule. Having the same special patented additive as all our other landfill biodegradable products, the AquaPore filter is a disposable plastic filter which will biodegrade when discarded to a landfill. It is especially convenient when used with low-flow groundwater sampling but can also easily be used with a bailer, or with a filter flask for surface water filtering. Use the low-cost filter connectors for an easy way to connect to your low-flow discharge line (3/8″ OD). The AquaPore has a huge internal capacity of 800cm2 allowing it to handle high levels of turbidity. View Test Results: The AquaPore filter has been lab tested and rinsate verified for 66 trace elements complying with ANZECC recommendations. If you sample groundwater using the low-flow method, filtering has never been easier. Simple connect to your water discharge line using the FCP12 filter connectors (see pic above). If sampling with a BioBailer use the FCP16 filter connectors.